As events unfold tonight in Turkey and the army appears to be taking control, former president of the Deaflympics (ICSD) Craig Crowley has been the first to go public and announce his concerns for the Deaflympic family of Technical Directors of sport and Chef de Missions including those of his own at UK Deaf Sport who are inspecting next years facilities in Samsun on the northern coast of the country. It would appear that the officials are putting their personal safety first and pulling out of the danger area. There has been increasing concern from international members of the Deaflympic movement that the ICSD has not been making any public statements in recent times to demonstrate that they are acting responsibly for the safety of Deaf athletes and the spectators who are expected in Turkey next summer. Are Deaf Russian athletes still doping? Craig Crowley MBE, Honorary President of UK Deaf Sport says he would still have doubts about Russian athletes at the 2016 Olympics/Paralympics and Deaf athletes in Samsun 2017 Deaflympics even if the country convinces athletics organisations that it should be allowed to compete in Rio and Samsun respectively. With the latest comments from Russia’s new head coach of track and field, Two Big Ears has learnt from Craig Crowley, former Deaflympics President that the ban on Russian athletics from competing internationally also applies to individual athletes and teams competing in the Paralympics and Deaflympics. Crowley who lead the Deaflympic movement from 2009-2013 wants to see the ICSD Board place ‘drastic measures’ in place for Deaf athletes if Russia is cleared to compete in the future. Craig Crowley has doubts about the integrity of Deaf Russian athletes. The independent World Anti-Doping Agency (WADA) recently reported that “corruption was embedded” within athletics’s governing body, the IAAF – whose senior officials have been accused of helping to cover up doping in Russia. “It is awful to see but at the same time you have to think that athletics sport has to go through this really terrible time. Crowley added: “I believe it is very close [to the bottom]. Doping in Deaf sport not transparent say critics. As the world celebrates the upcoming 15th anniversary of the word Deaflympics, we look at the issues behind the use of this word in the sporting monopoly run by the International Olympic Committee. During Deaf Awareness Week, here in the UK, it is important to acknowledge that fifteen years ago this month – May 16th, 2001. The International Olympic Committee formally wrote to the CISS giving them permission to use the brand ‘Deaflympics’ in association with what was then the largest multi-sports event in the world for a single disabled group. There has been misinformation that creates misconceptions about the use of the word Deaflympics. Some writers have re-written history by saying that the Deaf broke away from the IPC in the mid 1990s and set up their own Deaflympics. The real facts are that the olympic-format for Deaf sport began in Paris in 1924 as the International Silent Games, since then it has changed branding from World Games for the Deaf to World Deaf Games and now Deaflympics. The Deaflympic Movement reaches its 90th Anniversary this summer. As soon as the IOC authorised the name change to Deaflympics in 2001, there were some surprises in store. National Deaf Sports Committees began think about changing their own names – the Russians got there first with their equivalent title of Russian Deaflympic Committee – you would think that was such a common-sense thing to do, to bring it into line with other Olympic Movement representatives such as the National Olympic Committees and the National Paralympic Committees. Unfortunately, the IOC wrote immediately to the CISS ordering the Russians to remove their new title as they were in breach of the IOC/CISS agreement which did not permit derivatives of the word Deaflympics. The derivatives; ‘Deaflympic Committee”, “Deaflympian” etc are not permitted. The IOC lodged a trademark challenge against the organisers of the 2005 Deaflympics for using the name “Deaflympic Games”. Fortunately, Kevan Gospar, Australian IOC member stepped in to allow the name to stand. The monopoly of the IOC/IPC has created many difficulties for the ICSD (International Committee of Sport for the Deaf) and its national federations, causing confusion and discord. The 23rd Summer Deaflympics will be hosted by Sansun, Turkey in June 2017. Meanwhile, athletes and teams will be preparing by competing in regional and World championships. I hope that through this short piece today, I have used Deaf Awareness week to raise some of the issues facing Deaf sport here in the UK and elsewhere around the world and I ask everyone to give their support to UK Deaf Sport in whatever way they can. According to an article in Parasport News, the International Committee of Sport for the Deaf (ICSD) who govern the Deaflympics have been substandard when it comes to reporting on doping violations by Deaf athletes. The full article from Parasport can be read here. ICSD rules say that when doping cheats are found out, the results will be advertised on the ICSD website – according to the Parasport article, this has never been done. Since 1986, a total of 370 Paralympic, Deaflympic and disability sport cheats have been caught – but only 28 have been Deaf and all except two were discovered during the Summer and Winter Deaflympic Games. This makes it difficult for competition organisers in Deaf World Championships and regional championships to know who has been banned – because the names are not published according to article 14.4. The greater concern is that doping is not carried out during World Championship and regional events – so it is likely that many more doping athletes are going undetected. It is of no surprise that the IOC and other international sports bodies will not take Deaf sport seriously because this lack of transparency does not make officials feel confident about the reliability of Deaf sport to run its events to the highest standards. It can be argued that of ICSD had done their job properly, delegates at the ICSD Congress in 2013 may not have elected the Russians to run their organisation if they knew that in 2009 and 2010 a total of 15 out of 16 athletes caught cheating were Russian. This alarming lack of oversight on Doping Control means that the ICSD Executive Committee has allowed Russian athletes to compete in recent Athletics events organised under IAAF rules despite a worldwide ban in the sport of Athletics. The ICSD Athlete Representative Dean Barton-Smith has had no reply from the ICSD to his written concerns about this. The same goes for Audiogram cheating; event after being found guilty by a Russian court of law for falsifying audiograms, the ICSD Chief Executive still remains in post. Two Big ears has reported on this previously. When will Deaf sport wake up and challenge the ICSD Executive about this ? 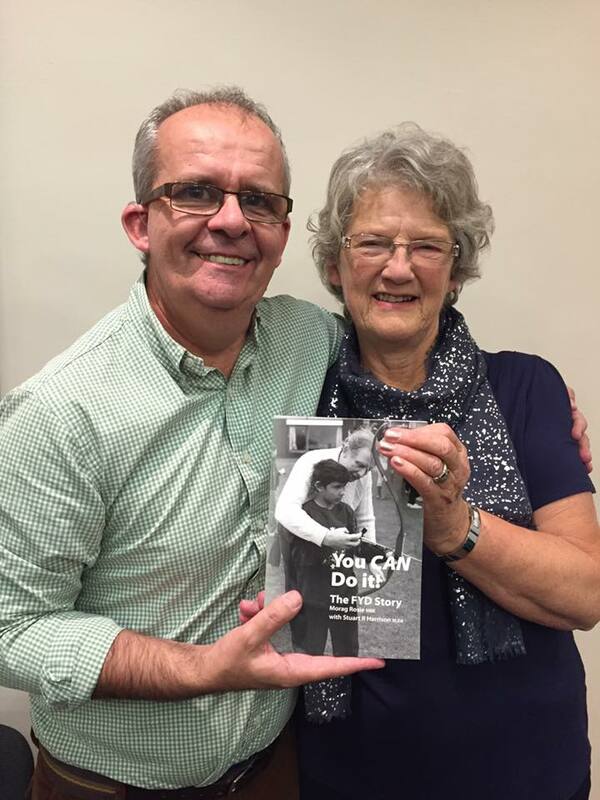 The launch of You Can Do It ! The FYD Story has been successful, the first order of books has sold out and we are going to re-print as fast as we can. The background to my collaboration with Morag Rosie is very interesting, not in the least that she comes from a family with a powerful sporting pedigree. 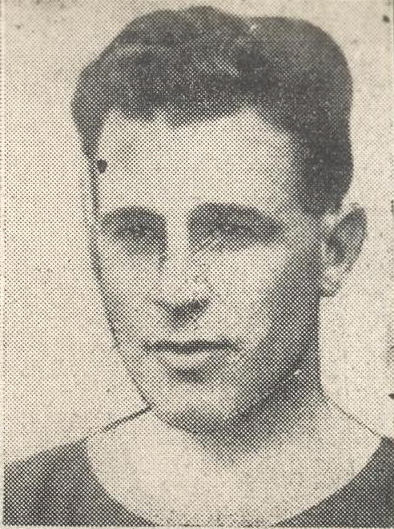 Her father, James MacLean was a professional footballer with Cardiff City. Morag competed nationally in deaf sports competitions and she was successful at first with swimming, badminton and then table tennis. She competed right up until she started a family and sports became a lifelong hobby. Her eldest daughter Fiona is a successful Deaflympian having competed in both badminton and tennis. She won two silver medals for mixed doubles and singles badminton at the 1985 Los Angeles World Games. More recently, she was Chef de Mission of the GB Deaflympic team in Sofia 2013. Her own daughter Bethany has also followed in her Mother’s sporting footsteps to the Deaflympics and Deaf Tennis World Championships earlier this year. The FYD story makes several references to the brainchild of Morag and her colleagues at FYD/Breakthrough – Communication Through Sport (CTS). Using sport as a mechanism for developing sucessful partnerships between deaf and hearing people. 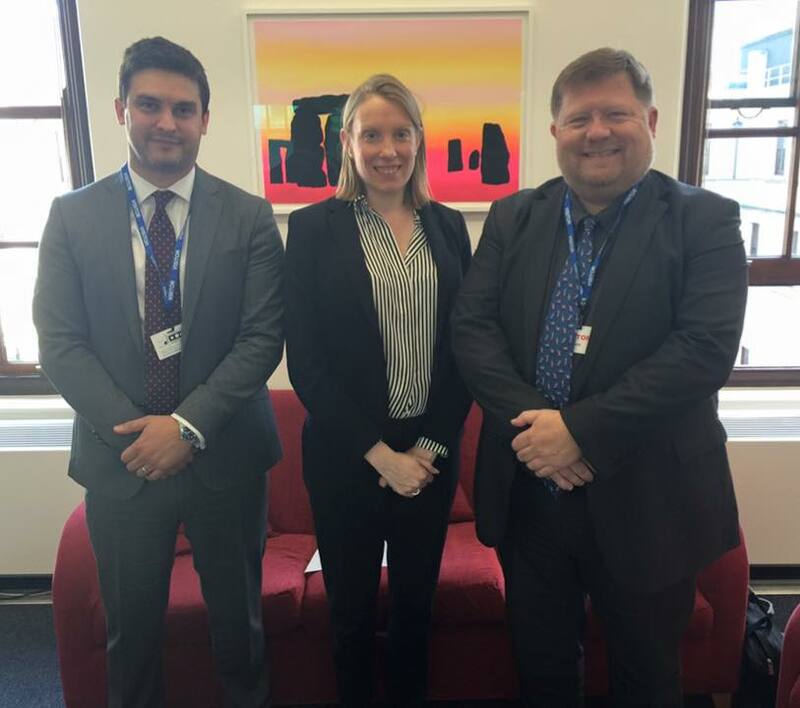 UK Deaf Sport Trustee Piers Martin, Minister for Sport Tracey Crouch MP, Craig Crowley MBE. One of those to benefit from CTS is former President of the International Committee of Sport for the Deaf, Craig Crowley, who has been proactive this afternoon by meeting the UK government Minister for Sport Tracey Crouch MP. The recognition of the Deaflympics was a primary item on their agenda. Craig was accompanied by UK Deaf Sport Trustee, Piers Martin. If you have a couple of minutes, you can watch Fiona in action as C.de M. at the Sofia Deaflympics, commenting on the performance of her daughter Bethany who was competing in the tennis competition ! Two Big Ears has readers in more than half the countries around the world. People have been wondering what’s going on, why has TBE been so quiet for the past 6 months ? Has he got lost ? Has he run out of steam ? TBE has been diving deep, he has been holding his breath. He has not had much time to post blogs because the resources normally set aside to research new topics and talk to the world has been borrowed elsewhere to allow a new project enough time and energy to be completed. Later on today, Two Big Ears will take it’s first step into the world of book publishing. At 11am GMT, sees the launch of a new book written in collaboration with Morag Rosie, a former Director of a UK charity Friends for Young Deaf. The launch party will be attended by over 100 guest who spent yesterday celebrating the work of the charity known simply as “FYD” and the legacy that it has created. It takes place, most appropriately, in Stratford Upon Avon, the home-town of William Shakespeare,one of the greatest writers to have ever lived. The book is called You Can Do It! – The FYD Story. It is written from the biographical perspective of Morag and it charts the formation and development of FYD by giving a fascinating insight into the impact of its work on both deaf and hearing young people around the world. Two Big Ears must dash, needs to get ready for his big moment but he will be back shortly. Full Exposure of the Deaflympics Down Under! A new exhibition celebrating the achievements of Australia’s Deaflympic history has been unveiled in the National Sports Museum (NSM) at the Melbourne Cricket Ground. “We’re delighted to give our visitors a deeper understanding of the unique sporting challenges that Australia’s deaf athletes meet and overcome on their pathway to Deaflympic success,” says National Sports Museum Curator, Helen Walpole. For the full story check here.